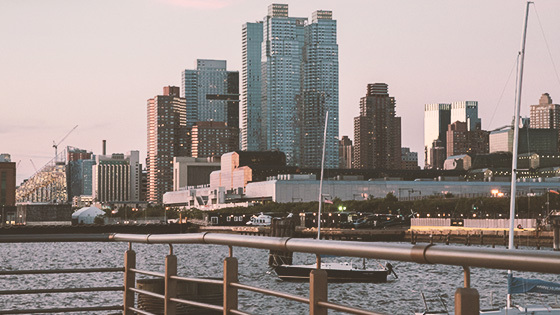 From uptown to downtown, east side to west, The Evelyn Hotel is situated conveniently to all of Manhattan's destinations; however, our backyard has plenty to offer. 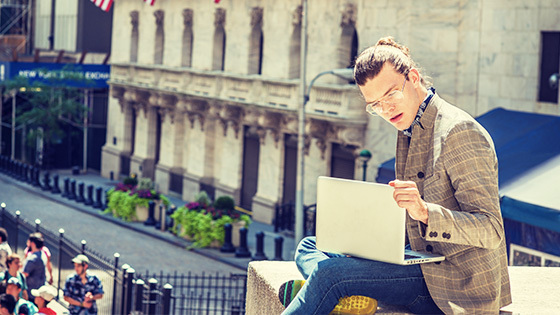 Our location in the NoMad neighborhood is within walking distance to Midtown and Chelsea, shopping on Lower Fifth Avenue, food trucks at Madison Square Park, and iconic landmarks like the Empire State Building. 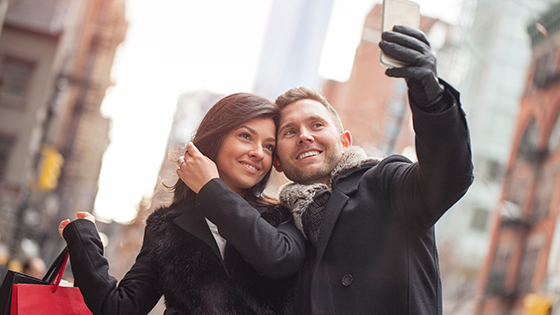 Explore attractions across NYC from our hotel located one block from several subway lines. Greenwich Village, Times Square, Broadway, and museums on the Upper East Side are an easy train ride away. 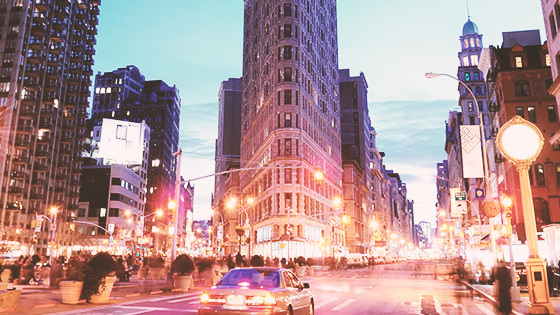 NoMad - North of Madison Square Park - is teeming with restaurants, shopping, entertainment, museums, and landmarks right in our hotel's backyard. NYC is best explored by foot, as you find hidden gems and stumble upon unique experiences. Lace up and save your spot on a free walking tour of Manhattan with The Evelyn and Triumph Hotels. One of the most interestingly shaped buildings in Manhattan, this triangular skyscraper just a few blocks away oozes ingenuity and architecture, and makes for an unforgettable photo-op. Spend the afternoon at this popular elevated park for a change of pace and scenic views of the Hudson River. See unique urban art installations throughout the 1.5-mile walking trail. Play at this 28-acre entertainment complex, located along the historic Hudson River, with year-round sports and activities like ice skating and golf along the NYC's westside waterfront. 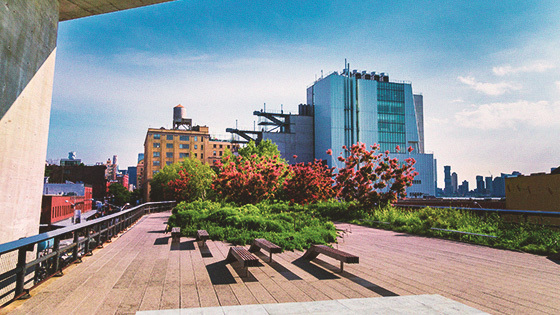 There's always something happening at this scenic park located on 42nd Street, including outdoor movies, winter markets, and an ice skating rink, all adjacent to the New York Public Library. 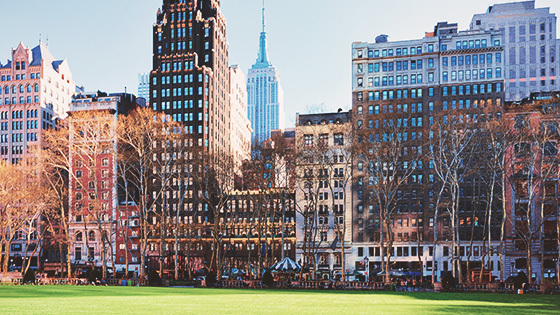 Stroll through Union Square Park, home to a year-round farmer's market and street performers. 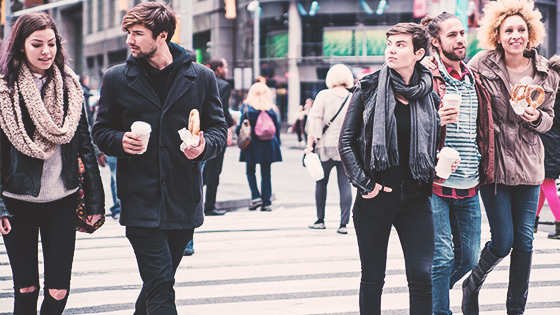 Explore the neighborhood for concert venues, nightclubs, art galleries, and shopping. 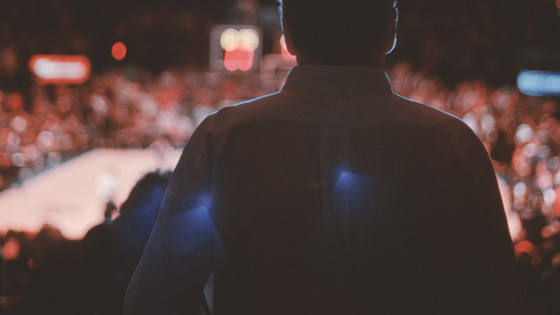 Located in the heart of Manhattan, MSG is the home of the NBA's Knicks, NHL's Rangers, and is The World's Most Famous Arena, renowned for legendary concerts and big-ticket sports action. 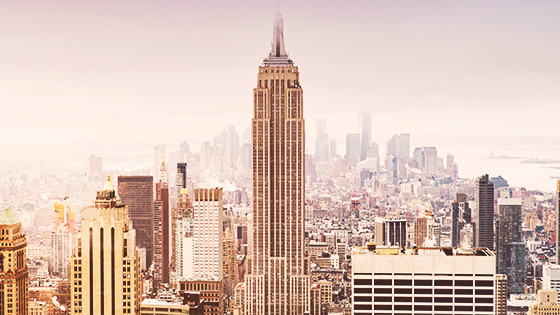 An icon of engineering, architecture, and the inspiration for our art deco hotel, the Empire State Building's observation deck offers amazing views of NYC and way beyond. 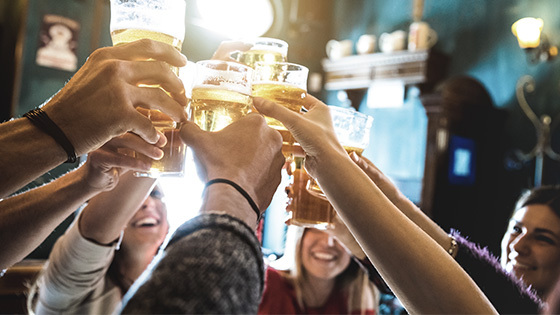 Whether you're in New York City to visit a college campus or for commencement, you'll find many universities easily accessible from The Evelyn. 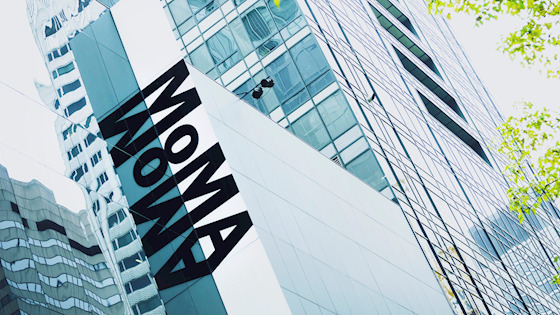 MoMA wows with extraordinary collections modern and contemporary art. This museum in Midtown Manhattan showcases the world's most innovative artists, from Van Gogh to Picasso to Jackson Pollack. 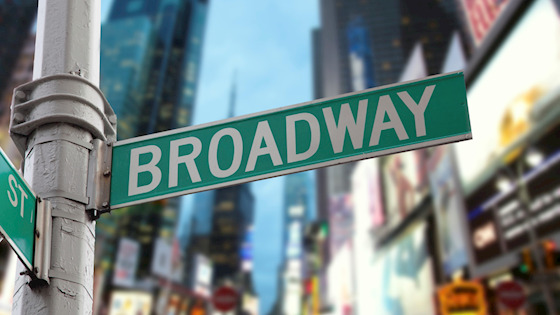 See the lights of the Great White Way and be captivated by hit musicals and modern productions in the Broadway theater district. See aspiring actors and celebs light up the iconic stages of NYC. 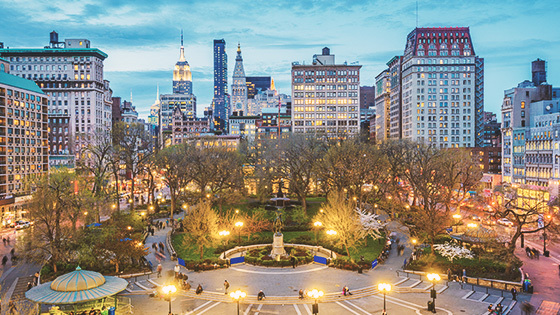 Experience the magic of winter in New York City from the shopping along 5th Avenue to visiting Union Square with its year-round farmer's market and art galleries.